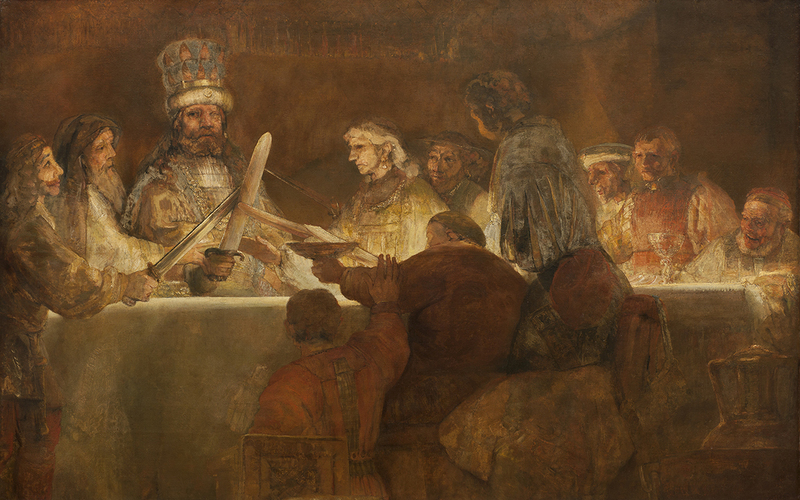 Now you can see one of the most famous and largest works by the Dutch 17th century master Rembrandt, The Conspiracy of the Batavians under Claudius Civilis, in Gothenburg. Thanks to a loan from the Royal Academy of Fine Arts in Stockholm, we can present a unique opportunity to see the painting at the Gothenburg Museum of Art. The monumental painting is especially renowned for its fascinating light effects and the moving depiction of the Batavians as they swear an oath to their leader in the rebellion against the Romans. The portrayal of this historical event is just as gripping today as it was controversial when it was painted approximately 350 years ago. Rembrandt Harmenszoon van Rijn (1606–1669) is one of the foremost Baroque Masters, a legendary artist, famous for his vibrant chiaroscuro paintings. Many of his works seem to glow from within, creating a mysterious atmosphere that emphasizes the drama that Rembrandt sets in motion. 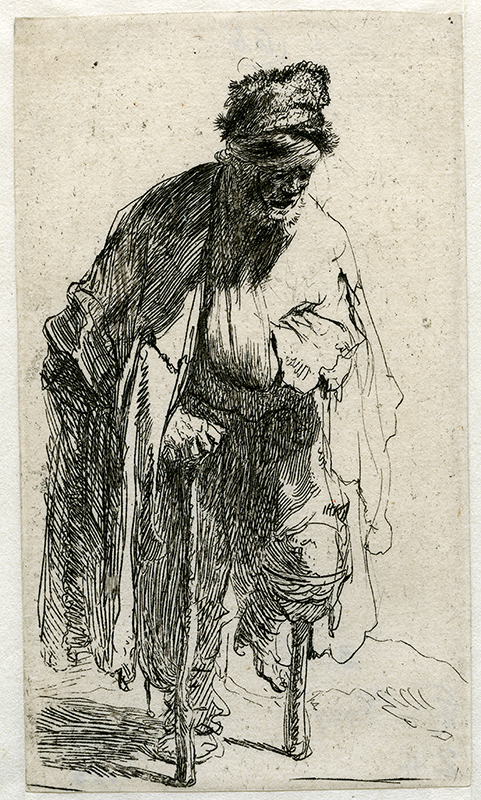 Rembrandt is also an unparalleled interpreter of complex emotions and human expressions. His biblical and historical motifs, as well as his portraits and self-portraits, express grandiose, dramatic and violent sentiments, but also compassion, tenderness and soul-searching. During his life, he completed around 350 paintings, 300 etchings and over 1000 drawings. Thanks to a loan from the Royal Academy of Fine Arts in Stockholm, the Gothenburg Museum of Art can show one of the Dutch 17th century master’s most important works, The Conspiracy of the Batavians under Claudius Civilis, from 1661-1662. The two by three meter painting has been displayed outside of Stockholm only on two earlier occasions. Since 2015 it has been on loan to the National Gallery in London and the Rijksmuseum in Amsterdam. When the work now returns to Sweden, it will be shown in Gothenburg for the first time. Top image: Rembrandt van Rijn, The Conspiracy of the Batavians under Claudius Civilis, 1661-1662, The Royal Academy of Fine Arts. Donated in 1798 to The Royal Academy of Fine Arts in Sweden, by Mrs. Anna Johanna Peill, born Grill, widow of Mr. Henrik Wilhelm Peill in memory of her late husband. In The Conspiracy of the Batavians under Claudius Civilis, the light is used to emphasize the drama of the event. Hidden light sources illuminate the nocturnal setting in which a motley band of followers swear an oath of allegiance to their one-eyed rebel leader Claudius Civilis. The Batavians lived at the mouth of the Rhine and in Rembrandt’s time their uprising was seen as a parallel to Holland’s liberation from Spanish rule in the late 16th century. The painting was commissioned for the newly built city hall in Amsterdam, erected in 1655. 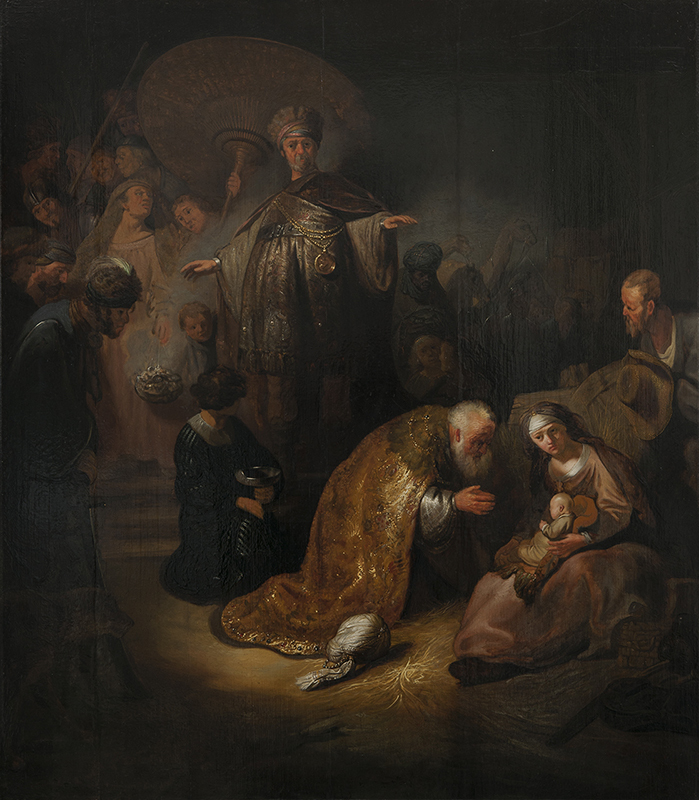 It was installed there, but the commissioners were dissatisfied and the large canvas was sent back to Rembrandt for adjustments. The work was never put back in place. Instead, Rembrandt down-sized the painting, originally measuring 5,5 x 5,5 m, in order to sell the central part to a private buyer. The reason for the commissioners’ dissatisfaction is the subject of much speculation. Perhaps they had expected a more conventionally idealizing history painting? Perhaps Rembrandt’s style of painting was too primitive and raw for the taste of the time? The painting was Rembrandt’s last major assignment. Today, The Conspiracy of the Batavians under Claudius Civilis is deemed the most magnificent expression of Rembrandt’s late, more free, style. As an artist, he is considered one the greatest painters in the history of art, and the works from the end of his career are regarded as his most accomplished. After a number of sales, the painting came to Sweden in the 18th century as part of an inheritance. The work was deposited at the Royal Academy of Fine Arts in Stockholm in 1780. For many years it hung in the painting gallery where it could be studied by generations of Swedish artists in spe. The importance of the painting in Swedish art is emphasized by the fact that you can glimpse it in the background of Elias Martin’s painting Gustav III’s Visit to the Royal Academy of Fine Arts 1780. Rembrandt’s painting became the property of the Royal Academy of Fine Arts thanks to a donation in 1798. The exhibition, held in one of the galleries on the sixth floor, will be inaugurated on Wednesday May 31, and continues until September 9:th 2018. In addition to The Conspiracy of the Batavians under Claudius Civilis, you will also find paintings and prints by Rembrandt, his pupils and contemporaries from the Dutch Golden Age, from the collection of the Gothenburg Museum of Art. 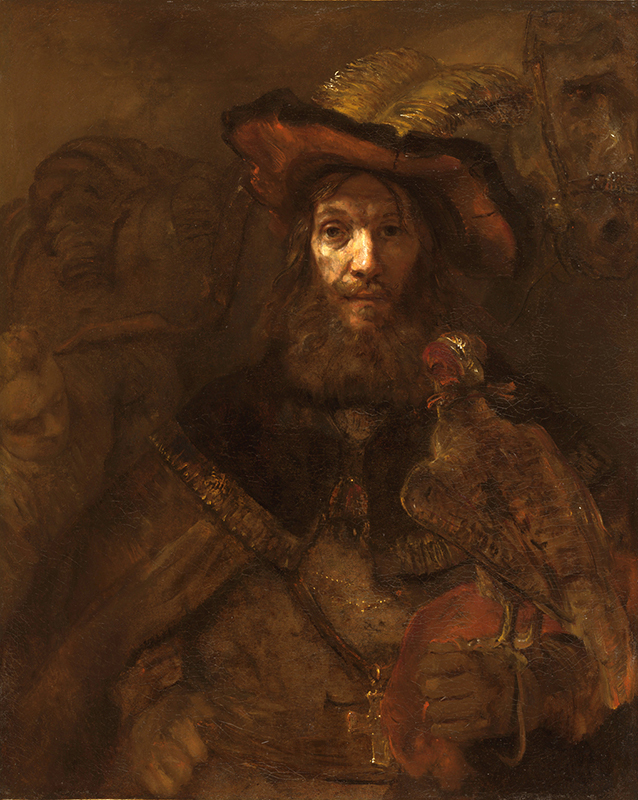 Among them are Rembrandt’s The Knight with the Falcon, a work by his Danish pupil Bernhard Kiel, as well as a major work by Juriaen Ovens, the artist who was commissioned to complete the assignment in the city hall after Rembrandt’s version of The Conspiracy of the Batavians under Claudius Civilis was turned down. During the exhibition, selections of works from the large collection of Rembrandt prints at the Gothenburg Museum of Art will be shown in a showcase. In the exhibition, you will also be able to see an audiovisual presentation that provides information about Rembrandt’s painting technique.